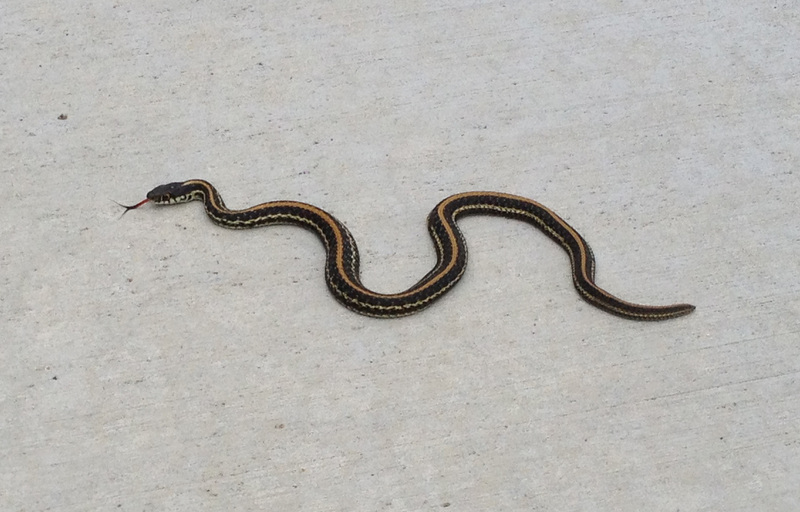 While walking the dog this morning, Logan and I crossed paths with this snake. Logan screamed and instinctively grabbed Oakley; pulling her way from danger. When I could move again, I snapped this picture for identification. Will: That is a Texas Garter Snake…actually quite rare to see. Will: Not at all but if you handled it, they have a foul-smelling musk they will release to fend off predators. Me: We still faced certain death just so you know. Will: It basically means that when the snake gets scared, it farts; just like Logan.